U.S. government stop the campaign of ‘regime change’ in Cuba and immediately stop interfering in Cuba’s sovereignty and self-determination! 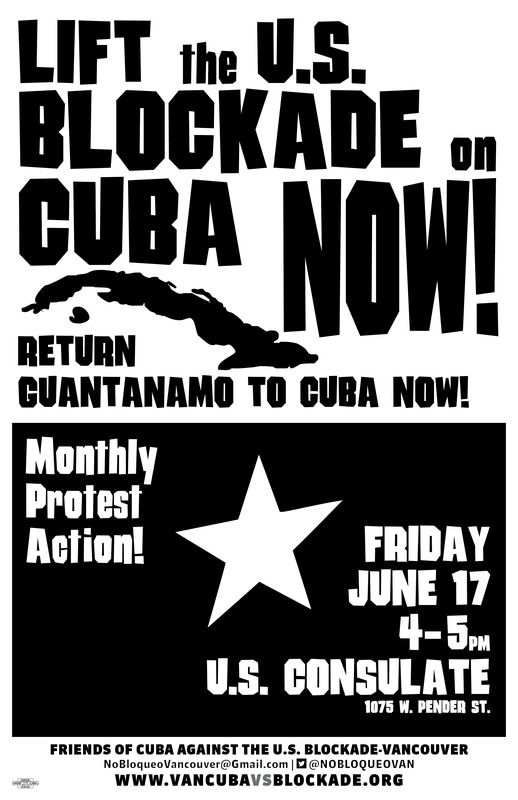 Picnic & Rally to Support Pastors for Peace Caravan to Cuba! Featuring Live Music, Poetry, Potluck Picnic & Guest Speaker from Cuba! ***Call 778-882-5223 for Carpooling to the Peace Arch! December 17, 2014 was a historic day, US President Barack Obama and Cuban President Raul Castro both announced the first steps towards restablishing diplomatic ties between the US and Cuba after over 50 years of US hostility towards Cuba. However, despite ongoing negotiations and some important steps forward, the US government is still refusing to lift its cruel and inhuman blockade against Cuba. The Pastors for Peace Caravan to Cuba is a U.S.-based Cuba solidarity project that each summer brings U.S. citizens to Cuba to challenge the US Blockade and travel ban against Cuba. Cuba solidarity organizations across Canada have supported the Caravan since the beginning over two decades ago. 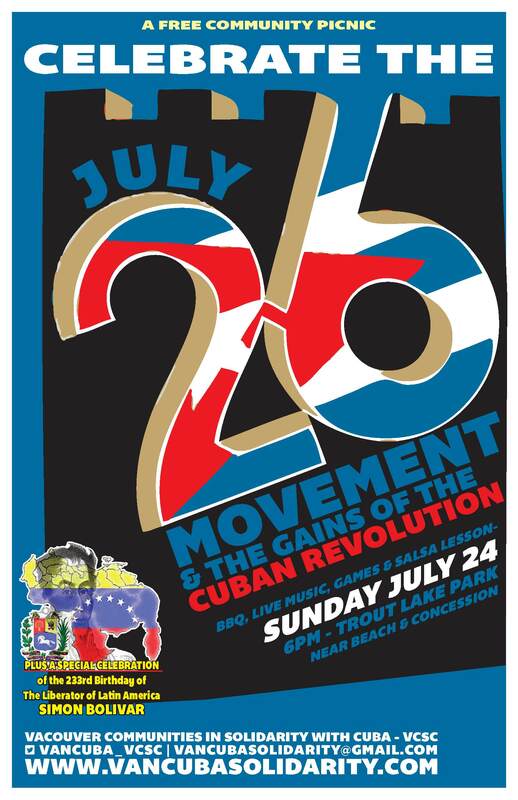 This year Cuba solidarity activists and Caravan supporters from across British Columbia and Washington State will once again get together at Peace Arch Park for a picnic & rally to support Pastors for Peace Caravan to Cuba and to demand an end to the US blocakde on Cuba! IFCO/Pastors for Peace | www.PastorsForPeace.org? TML Weekly, April 16, 2016 - Gerardo Hernández Nordelo, a Hero of the Republic of Cuba was enthusiastically welcomed at each stop of his first tour across Canada and Quebec, which began in Toronto on April 3 and concluded in Nanaimo on April 13.
International Days of Action Against the U.S. Blockade on Cuba!